Not all cleansing products need to use chemicals and interfere with your body's natural balance. D-Mannose is a simple sugar that occurs naturally in some plants, including cranberries. 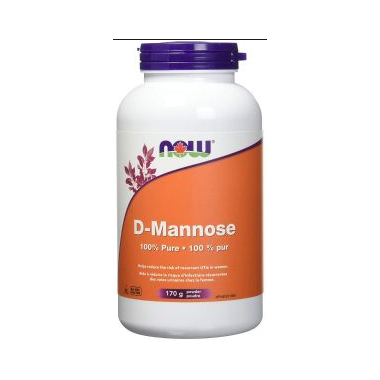 Although small amounts of D-Mannose are metabolized by the human body, much of it is rapidly excreted in the urine. In the bladder, D-Mannose may adhere to undesirable foreign substances, preventing them from sticking to the lining of the bladder and allowing them to be expelled. Because insubstantial amounts of D-Mannose are used by the body, it does not interfere with healthy blood sugar regulation. Directions: Adult Female Dosage: Take 1 teaspoon (2g) once daily. Mix product well in 1-2 cups of liquid (water, juice, etc.) immediately before consumption. Store in a cool, dry place. Caution: If you are pregnant or breastfeeding, consult a health care practitioner prior to using this product. If symptoms persist or worsen, consult a health care practitioner. I have been using this for close to a year now and as long as I use it, I don't have any signs of a bladder infection. It works well.